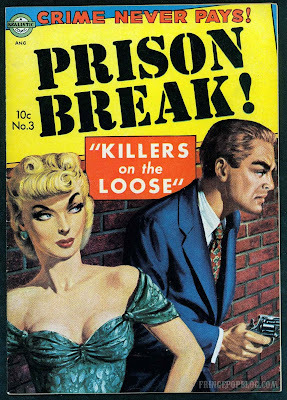 As a fan of both vintage ephemera and the show "Prison Break," I really dig this comic. It's a pre-code comic and obviously was around long before the show. Anyway, enjoy the excellent art on this vintage classic. Avon Books published this comic, and they re-used the art on a later vintage paperback called "Blondie Iscariot." The art was so good, they had to use it again!